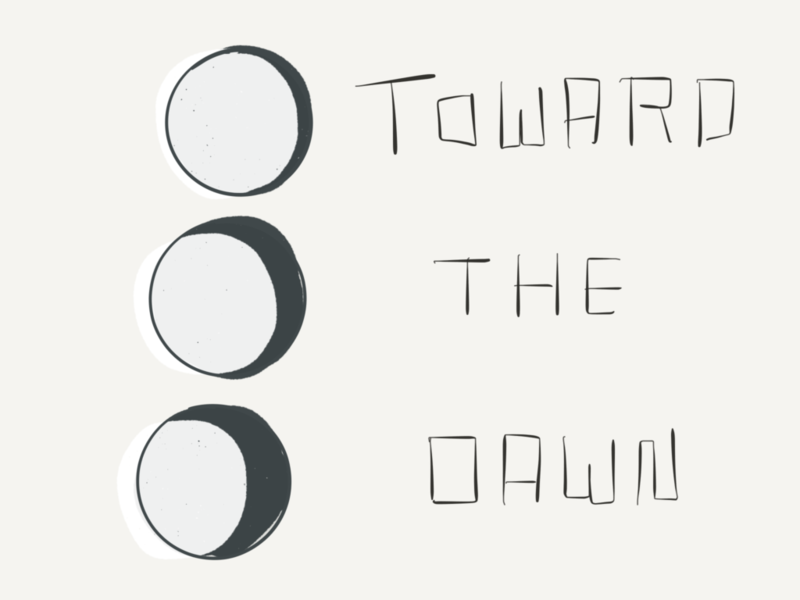 Memorize this mnemonic: The moon moves toward the dawn. This phrase describes the day-by-day movement of the moon. With this simple phrase, you can understand the phases of the moon. You will actually begin to see the moon’s beautiful orbit traced out in the sky. Repeat. The moon moves toward the dawn. The moon moves toward the dawn. The moon moves toward the dawn. It rises higher in the dusky sky after each day. It sweeps over the hills. It circles and rolls. It transits. It leaves the Sun, then chases the Sun. Look East! That’s where the moon wants to go. Once arrived, it crosses the face of the Sun and once again moves toward the dawn.